For the new twists in the show had readers scrawling back to the books’ pages, wondering if their memory had failed them or they have accidentally missed a few of the books’ chapters. Calm down, bookworms. 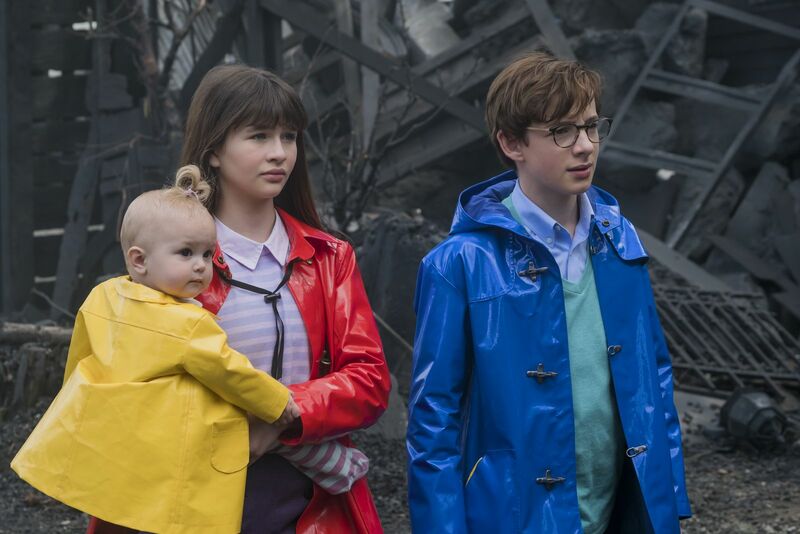 While the overall story remains true to the books, the first eight episodes of Unfortunate Events—which cover the first four books—all have (minor) twists that make this children’s series more interesting on screen than it is on the page. —The short scene showing a pair of kidnapped parents made us think that Beatrice and Bertrand Baudelaire may not have perished in a terrible fire. 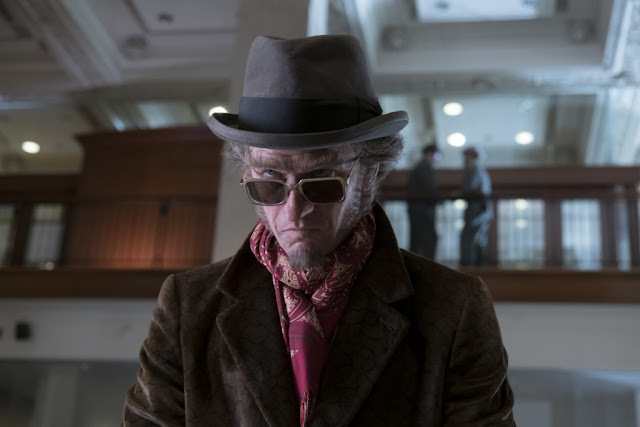 —The “flashback” revealed how the orphans ended up with literally their closest living relative, Count Olaf. 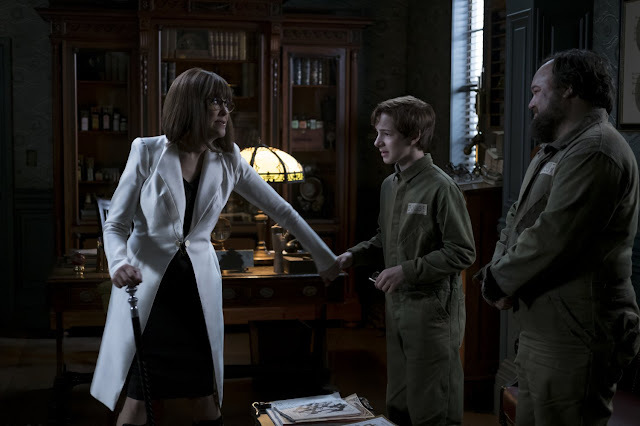 Disguised as “Yessica Haircut,” Olaf poses as a consultant whose advice Mr. Poe follows. 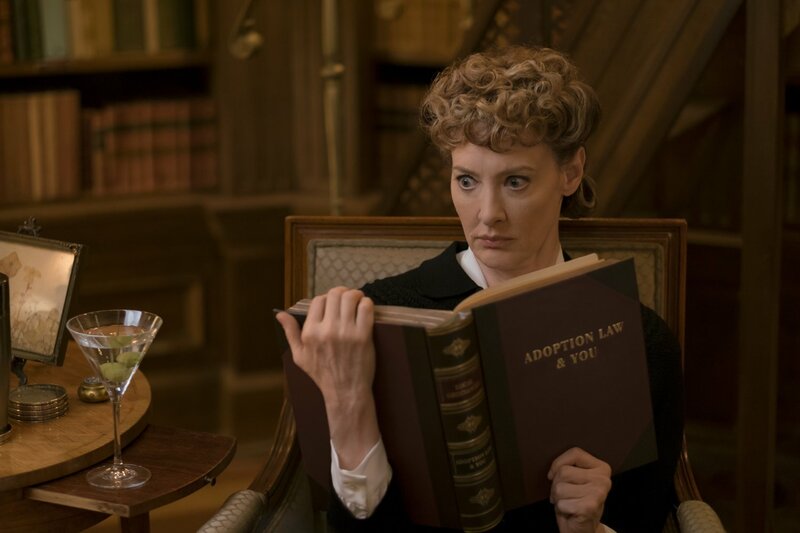 —Justice Strauss reading the book “Adoption Law & You” is a heartwarming scene, making us wish the orphans really came to live with her. Among the books in the library is the “Incomplete History Of Secret Organizations” which also reveals very early the idea of VFD (Volunteer Fire Department). 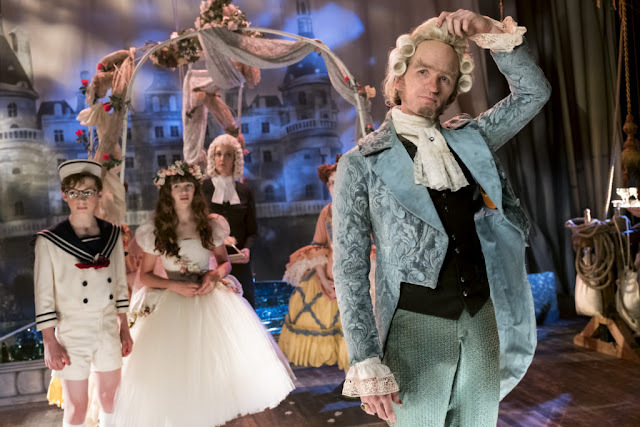 —Klaus also has a big scene in “The Marvelous Marriage.” It explains in marvelous detail how the play was actually a scheme to steal the Baudelaire fortune. In the book, Justice Strauss is able to instantly figure it out herself. 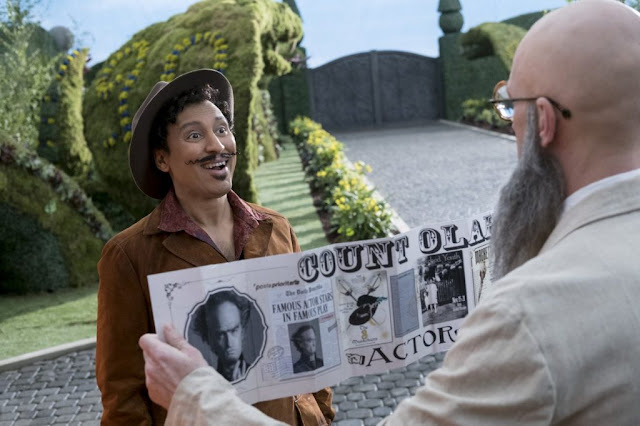 —It shows the reason for Gustav’s disappearance which allows Count Olaf, disguised as Stephano, to replace him. Gustav and Uncle Monty are also revealed to be murdered in the same way, by the same person. —The secret code in the “Zombies in the Snow” English subtitles that has been decoded with the use of a spyglass is pretty cool. In the books, they use the Sebald Code (Sebald is Gustav’s last name) which involves the ringing of bells in between conversations. Although the spyglass is briefly mentioned in the books, it seems to play an important role in the show. —In “The Reptile Room” the expedition to Peru had always been part of the story that the Baudelaire children have all looked forward to, and it was not at all determined by a secret message from movie subtitles. —Lucafont was a male actor disguised as a female nurse instead of a doctor—which makes the disguise look so unconvincing yet unnoticed by Mr. Poe. —The Incredibly Deadly Viper was framed to be Uncle Monty’s murderer. In the book, they were told the Mamba du Mal’s venom killed Dr. Montgomery. Convinced that their uncle’s untimely death was another one of Olaf’s bad deeds, Klaus read more about the snake to prove their suspicion. Klaus found out that the Mamba du Mal strangled its prey before biting them, and the doctor’s body contained no bruises. —Aunt Josephine ends up dating Captain Sham. WHAAAT? The Aunt Josephine in the book will never think of replacing her husband Ike! —Klaus doesn’t use an atlas to find the Curdled Cave, a map is readily available to the orphans. —There’s another adult on the Baudelaire’s side. The kind server from the Anxious Clown diner tries to buy the Baudelaires’ time away from Count Olaf by giving them peppermint, which give them allergic reactions. In the book, the children comes up with this plan on their own, with the candy gift from Mr. Poe. —The orphans found a group photo with their parents in it and decided to find “Lucky Smells” to get more answers. —In the book, the Baudelaire orphans didn’t run away and secretly rode a truck to get to the Lucky Smells Lumbermill. Mr. Poe dropped them off the mill because Sir was their guardian. —Sir promised to keep them safe from Count Olaf on the condition that they work in the lumbermill. On the show, the Baudelaires were forced to work for “trespassing” the property. —There were only four books in the library, instead of having numerous copies of the Paltryville History on the library’s shelves. And there is, in fact, a Paltryville Constitution (Phil said on the show there wasn’t any). —There is no “Paltryville fire” in the book. However, the orphans trying to clear their parents’ names is a more compelling reason to stay in the mill. 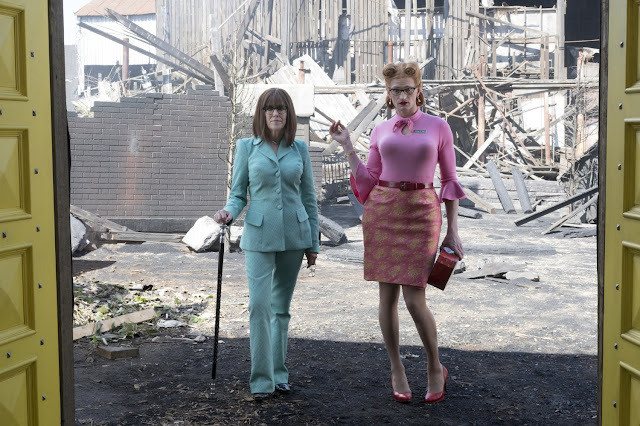 —Every single person in Lucky Smells was hypnotized and the “fire accident” was never spoken of because the word “fire” unhypnotized them. This twist made more sense because who on earth would agree with the labor conditions of mill? Coupons as salary and gum for lunch? No, thank you! —Dr. 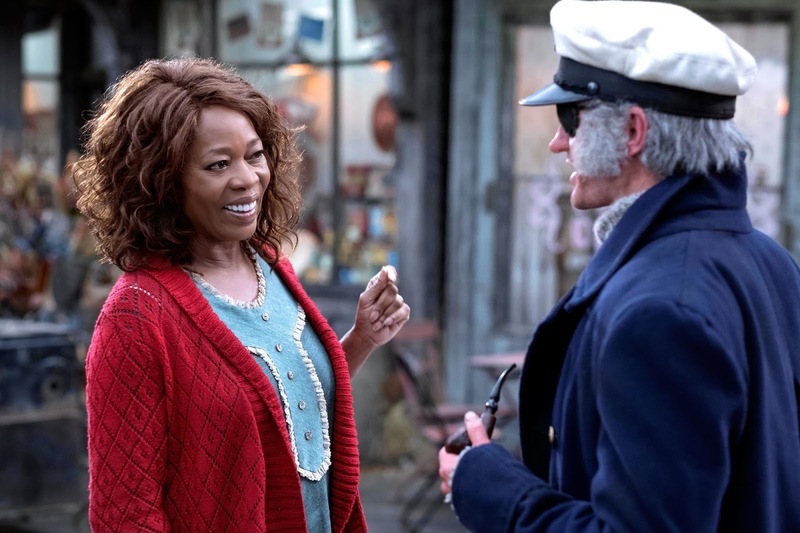 Georgina Orwell is revealed to be Count Olaf’s ex-girlfriend who is equally sinister. She dies after falling into a furnace and not in a chainsaw machine after being mobbed by the mill’s workers. —Foreman Flacutono was revealed to be the Hook-handed Man. In the book, it was the Bald Man with the Long Nose who disguised as the mean foreman. —There’s another unfortunate fire, this time in the Quagmire’s home. From the book pages to the TV screens, did you spot all these differences?